Swami Ramdev: Ek Sangharsh is a scripted biopic series tracing Swami Ramdev’s never seen before, inspirational journey from a life of anonymity to a renowned yoga guru, business leader and national icon. Produced by Watergate Production, the show also features National Award winner Naman Jain as Ramkishan (Young Ramdev) and Kranti Prakash Jha as Swami Ramdev. 21 Sarfarosh: Saragarhi 1897 is a fiction show inspired by the real-life story of 21 brave soldiers of 36th Sikh regiment of the British Indian Army who defended an army outpost at Saragarhi in the North West Frontier Province against an onslaught by over 10,000 Pashtun and Orakzai tribals in September 1897. Produced by Contiloe Pictures Pvt. 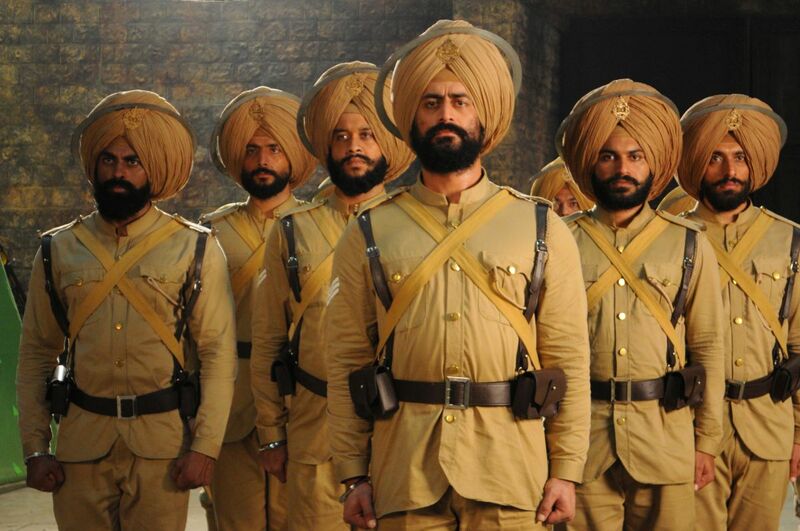 Ltd, the stellar cast of the show includes Mohit Raina as Havildar Ishar Singh, Mukul Dev as the antagonist Gul Badshah and Luke Kenny as Major Des Voeux. Mere Papa Hero Hiralal is a moving story of a Lucknow based auto-rickshaw driver Hiralal Tiwari, who driven by the love for his daughter Gungun, is ready to go beyond the ordinary and help her recover from a serious medical issue. Produced by Viniyard Films, show features Sarwar Ahuja as the main lead Hiralal Tiwari and popular child actor Rivaa Arora as Gungun. Khan No 1 – Inspired by true events, ‘Khan No 1’ is a lighthearted episodic crime show featuring an array of ‘Bluffmasters’ – men and women who have chosen cons as a solution to their problems. Inspector Khan is the fictional central character – a ‘Crime Hunter’, a smart, witty, well-experienced cop specializing in solving scams/cases. Renowned film director Rohan Sippy will don the hat of a producer for the first time on Indian television; talented actor Rajesh Sharma also debuts on TV and will play the title role in Khan No 1. Comedy High School – This non-fiction show is a light-hearted take on society, culture, education and current affairs through a classroom based set up. Comedy High School is a clean comedy show with theme based episodes. The school has teachers from various streams like English, Hindi, Physical Training, Personality Development along with the disciplinarian Principal and the morally uptight Trustee. Lead celebrities will visit the school, every week, in myriad avatars. The stellar cast includes Ram Kapoor, Gopal Dutt, Paritosh Tripathi, Krishna Bhatt, Jasmeet Bhatia and Deepak Dutta. Gabru: Hip-Hop Ke Shehzaade – This fiction show, set in the world of Indian hip-hop music, is produced by Still & Still Moving Pictures and features Amol Parashar as MC Money, Harleen Sethi as Queen B and Chaitanya Sharma as Surf. The show is a mélange of drama, romance and music, with an original hip hop soundtrack. Anjaan: Special Crimes Unit – a paranormal investigative crime thriller show that allows viewers to dive in to the world of the unexplained events. Produced by Lotus Talkies, Anjaan: Special Crimes Unit features Heena Parmar as Aditi and Gashmeer Mahajani as Vikrant. They investigate crime cases that are connected to the supernatural and bring justice to the ones that can’t be seen, heard or believed by everyone! Man Vs Wild with Sunny Leone- Sunny Leone will now be showcasing her adventurous side as host of the mega-popular survival series Man Vs. Wild. The iconic series will be telecast in Hindi where the beautiful actor will not only host but also undertake many difficult stunts and adding a dash of humour with her vivacious personality.